...Yes.... I am well out of my teens and well into my 20s... and I still have to deal with acne. Not just acne, but CYSTIC ACNE. Ugh. Cystic Acne is a whole different beast than typical acne. Pretty much, it's skin infections deep under the skin that are painful and swell, leaving behind scarring. Its frustrating and definitely looks out of place on an adult. And, unfortunately, I will probably be fighting this battle for the next 30 years... because my mom also had this problem... and it is just NOW starting to subside. I know I've talked about it on here before. I feel like more people should be sharing their secrets for this type of acne since every time I try to look up acne products I come across a ton of salicylic acid products that do not work on my acne. Benzoyl Peroxide does work... however it is very harsh on the skin, which is why I now only use it for spot treatments. On top of that, my skin can be sensitive. I have allergic reactions to some products - even those that are 100% all natural and organic. I also have to switch up my cleanser every few months since my skin randomly decides it needs a change and doesn't like my regimen anymore. So that's my back story... Now here are my secrets. As you could probably tell from my last video - my skin is having a really rough time with breakouts at the moment. Its been this way for the past month and I've been trying to remedy the situation. Now for those of you who simply cleanser and go... my skin care regimen may seem a little intense... probably because it is. First off, something that has ALWAYS worked and continues to work is my spot treatment regimen. Now, this is a very harsh treatment and I would not recommend using it on anything other than cystic acne. Fair warning. 2 or 3 nights of my concocted spot treatment usually diminishes the size of any cystic acne spots dramatically. 1. My skin HATES sunscreen. I've had reactions to it since I was a teenager. It doesn't matter if its a mineral, physical, natural, or organic sunscreen. My skin either burns, breaks out in a rash, or cystic acne appears. 2. I have problems finding a facial moisturizer that doesn't break out my skin or make it extremely oily and uncomfortable. So in all my years of searching, I still have not found the perfect moisturizer. I pretty much just try product after product hoping something works out for me. If it doesn't breakout my skin right away, I'll use it for a little bit until my skin gets bad. And then I move on to something else. I just finished using Alpha Hydrox Sheer Silk Moisturizer. While it felt nice on and didn't feel greasy, I'm pretty sure that after a couple of weeks of using it, it made my breakouts a lot worse. I think it may be due to the soybean oil in this product. 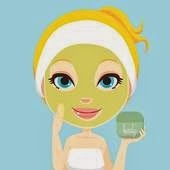 So I switched to Alba Sea Moss Moisturizer SPF 15 and so far it is ok. It's heavily fragranced which makes me nervous but my skin hasn't reacted yet. I'm not thrilled with how it feels on my face. It is not greasy but it doesn't feel as smooth as I would like. So my search continues. At night I remove my eye make up with ponds cold cream and have been using LA Fresh oil free cleansing wipes to remove any makeup from my face. Right now my FAVORITE and one that I will continue to by is LUSH's Cosmetic Warrior. I notice a change in my skin after one use and it definitely make my skin easier to manage. It's around $7 so I plan on making a stop to LUSH soon to pick up more since I'm almost out! Other nights I use the AHA cleanser mentioned above with the Luna Mini. It honestly just depends on how my skin feels. If it feels like its getting too dry or irritated I use the Herbalism to rebalance and calm it down. If it's being super mean and greasy then I use the Luna and AHA cleanser. 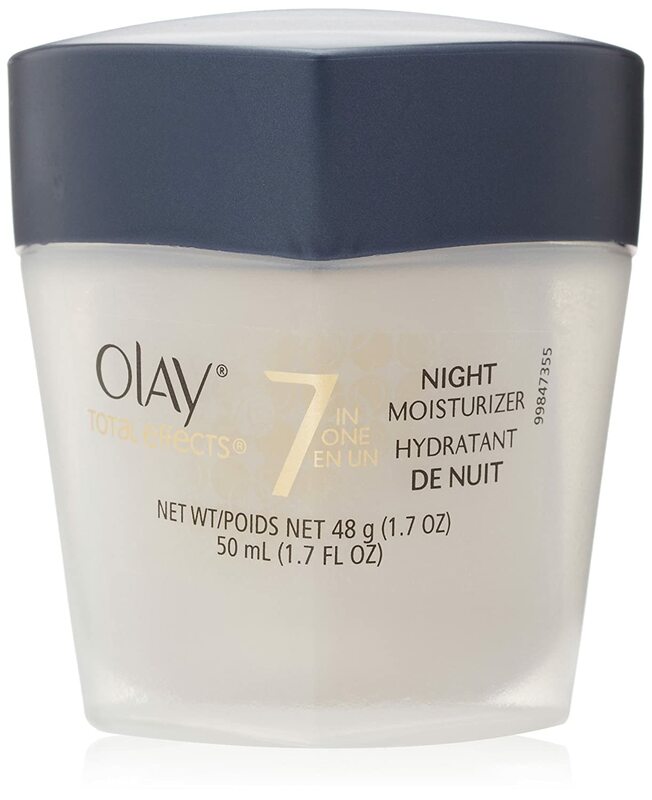 I alternate between the AHA lotion mentioned above and my Olay Total Effects 7-In-1 Tone Correcting Night Moisturize. The morning after using the AHA lotion overnight my skin is so soft, bright, and refreshed. I love the way it looks and feels. But since my skin burns/itches for the first few minutes after application of this lotion, I'm afraid to wear it every night, so I alternate and will wear my Olay the next night. It seems to be working out. As far as makeup goes. Like I said, I don't wear a full face of makeup daily. Even if I'm going through a breakout. When I do wear foundation I stick to CoverGirl Outlast 3 in 1 and ELF's Acne Clearing foundation for liquid and MAC or Clinique for powder.